Many people cringe when they hear the term, “search engine optimization.” In reality, the process of SEO isn’t something that needs to be feared. A lot of the more effective methods are so automated today that anyone can hope to score well in sites like Google and Bing. Most people will start a blog to bring attention to a specific topic. That traffic starts with having content visible in search engines. Here are some of the easiest ways to add that visibility. Not only will these tricks help the content be seen in the search results, but some of them will also make the blog more engaging. The most important aspect of a blog is its content. Because search engines such as Google put emphasis on quality, it’s going to take more than a few keywords to rank well. In fact, too many of the same keyword can actually have the opposite effect. Instead of high ranks, the site will be penalized. Many experts believe keywords should be used sparingly. While certain words are needed because of the topic, there is such a thing as saturating the content. Keep the keywords and phrases under three percent if possible. This can be determined by using tools such as Readability-Score.com. Bloggers want to avoid delivering a, “wall of text.” This is when the content appears as one gigantic paragraph. This makes reading more difficult for the visitor. Keep paragraphs less than 100 words each while making sure the point is delivered well. Search engines use the headers to identify relevant parts of the blog post. In fact, Google uses some of them to determine if the post will be available as a featured snippet. Using headers will also help people skim through the post, which the majority of Internet users do on a regular basis. What is the best length of content to write? While some experts believe it’s more than 2500 words, others have success with just over 1000. In reality, it depends on the niche, target audience and how well the content is created. It may take a bit of trial and error to find that perfect length. A sitemap is one of the more important parts to SEO. It should be one of the first elements added when users start a blog. These files show search engines where content is located on the website. Without the sitemap, developers would have to rely purely on external linking, which can take a long time to process. If a blogger uses tools like WordPress, these sitemaps can be automatically added and updated when new posts are created. Thanks to tools like Jetpack or Yoast SEO, all it takes is to simply activate the feature and submit the link to Google and Bing. There are plenty of methods to create the sitemap for those who don’t use WordPress. This is a free method to enhance SEO that will have an impact in how often the blog will be indexed in search engines. Part of delivering quality is being able to cite facts with authoritative websites. These outbound links are helpful in gauging the validity of the content on a site. However, they can also cast a “vote” of sorts for the site that is being linked. In a way, linking out contributes to the popularity of the URL that is being used. Don’t forget to link internally as well. While sitemaps will show search engines where content is located, internal links tell them what posts are more important. Some developers will use Alexa to find highly credible sources for material. One way to do this is by installing the Alexa plugin for the browser. With a click of the mouse, a user can see how well the site ranks. The lower the Alexa Rank number, the better. Speed is one of the major contributing factors to the success of any website. Not only do search engines hold faster sites in higher regard, but visitors do as well. According to studies, the majority of people will leave a website if it takes longer than a few seconds to load. Web host provider: Not all hosts use the fastest technology or offer the same accessibility features. Enable Caching: Systems such as WordPress or Joomla have plugins that will enable caching, which makes a big difference in speed. Optimize Image Use: Don’t use extremely large graphics when a correctly sized one will do. Use Ad Networks Sparingly: Every time the blog has to retrieve information from ad sharing networks such as Google Adsense, performance is reduced. Use a CDN: Content Delivery Networks have been known to deliver websites up to 10 times the performance over those without. These are only a handful of the things that can be done to a blog to make it faster. 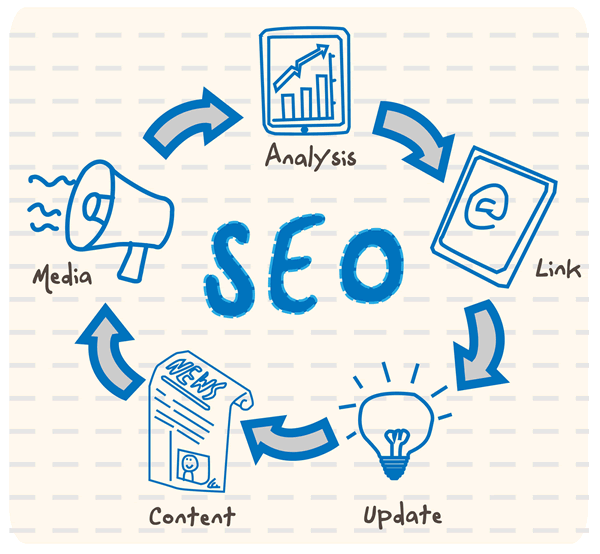 It’s important that these are addressed when looking to rank well in search engines. Broken links will have a negative impact on site performance for both search engines and visitors. It’s advisable to monitor these on a regular basis to ensure all the links are working properly. If the blog is operated from a system such as WordPress, there are plugins or modules available that will do this automatically. When a broken link is identified, there are two options: unlink the text completely or find a new source. Finding a new site to link to can be a difficult process depending on the content. The source needs to be relevant to the content on the blog. If the link was citing a statistic, that same data will have to be found elsewhere. Virtually anyone can start a blog. However, it takes a bit of effort to make sure it’s a success. Search engine optimization begins with the blogger, and he or she needs to consider the above to create a site that is engaging for both visitors and bots. Take steps to improve SEO and give the masses access to well-developed content. This entry was posted in Blogging, SEO, Tips and tagged proper length of content, SEO tips, SEO tricks for blogs, stellar content, submit the sitemap, use headers on February 6, 2017 by Danny.